The epic 2018-19 winter season keeps delivering, as more new snow fell Tuesday night into Wednesday morning. Temperatures remain optimal for snowmaking conditions which has allowed resorts to continue to add to their bases in preparation for the holidays. 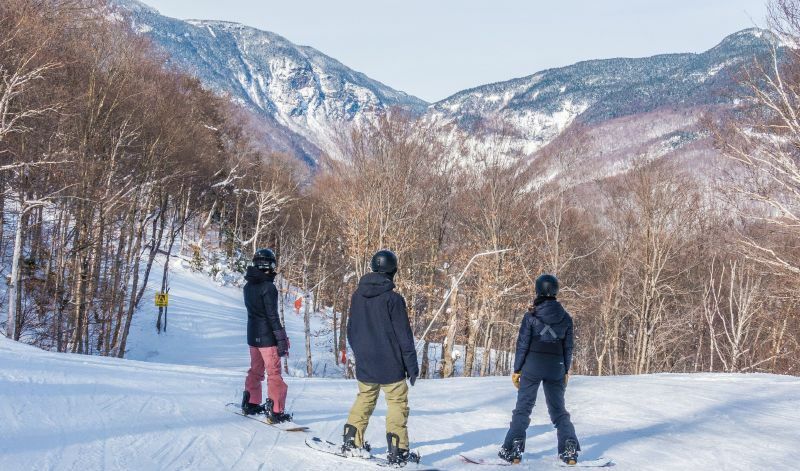 Smugglers' Notch Resort received its 100th inch of snow of the season on Dec. 5. The 100-inch mark is not typically reached until early to mid-January, according to Mike Chait, Smugglers' director of communications. 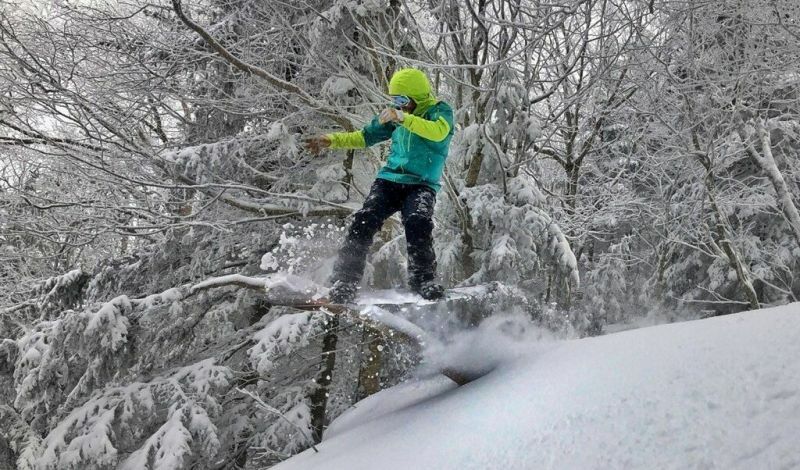 "The tremendous natural snows we've recieved have not only helped build a stellar base, but allowed us to open the most terrain in Vermont," said Chait. "Never before have we opened Madonna Mountain on our first day of the season with 100 percent natural snow, and at nearly 100 percent of those trails open." Smugglers' looks forward to the next week of colder temperatures as snow guns will add to this impressive natural base. Winter Storm Bruce brought 21 inches to Mount Snow and temperatures remain right in the wheelhouse of the resort's snowmakers. 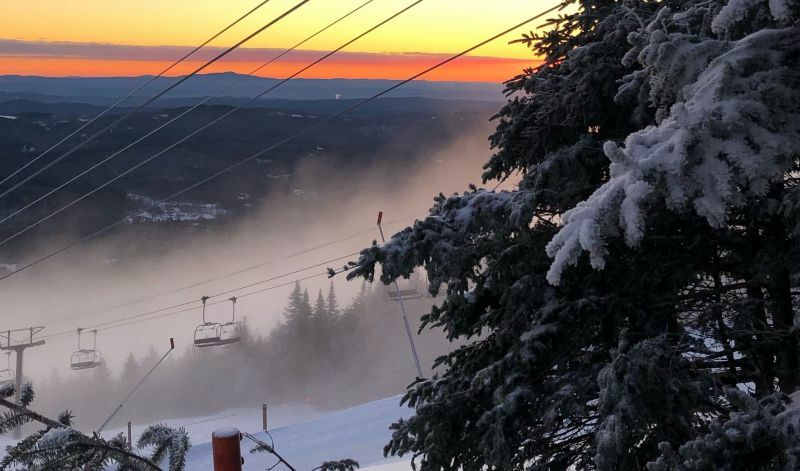 "Mount Snow is currently in Day 2 of a 10-day snowmaking run that will feature trail resurfacing and terrain expansion," said Jamie Storrs, communications manager. Mad River Glen announced Wednesday that it will re-open the Single Chair and Sunnyside Double in the wake of the latest snowfall. 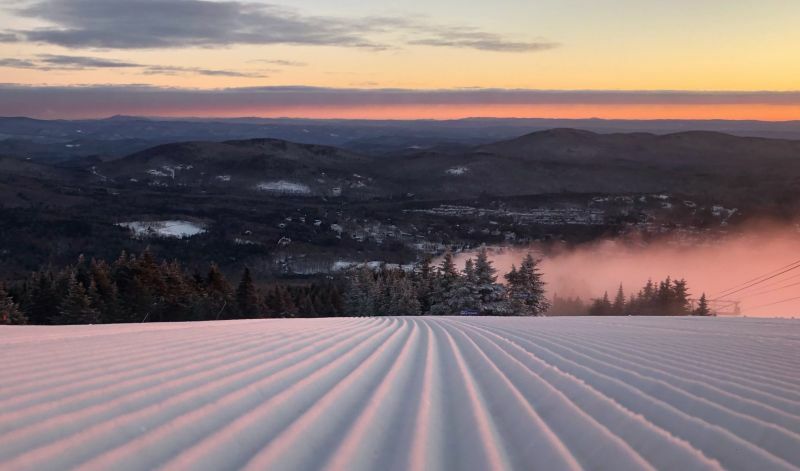 Mad River announced Wednesday that it had received 2-4" of fresh snow in the previous 24 hours, and that skiers will "find fresh corduroy top to bottom from either lift," according to a release. Bolton Valley Resort made a few anticipated announcements Wednesday: Limited night skiing will begin on Dec. 11 (with regular night skiing commencing once maintenance is complete on the Timberline lift). Bolton will also open its Sports, Nordic and Backcountry Center and Skatepark on Dec. 8, and mid-week prices ($69 for adults and $54 for youths) will remain in effect at Bolton until Dec. 10. For the latest updates on conditions at Vermont's alpine and cross country ski areas, visit Ski Vermont's conditions page.